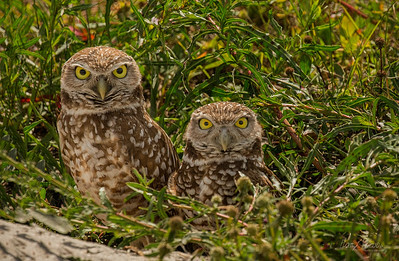 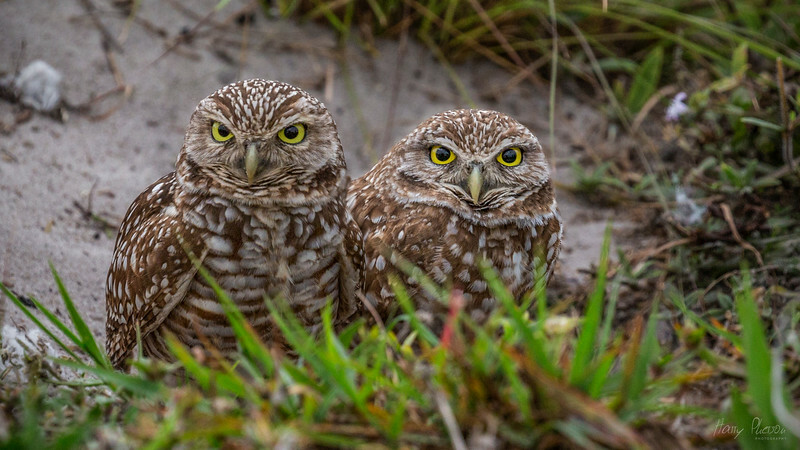 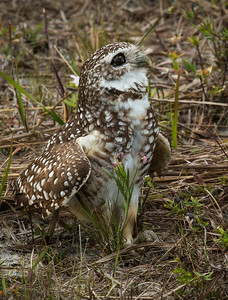 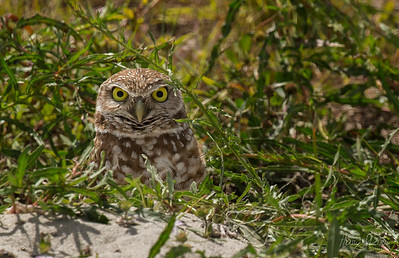 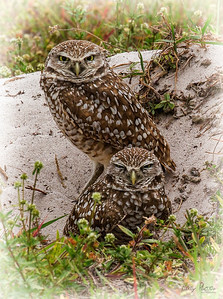 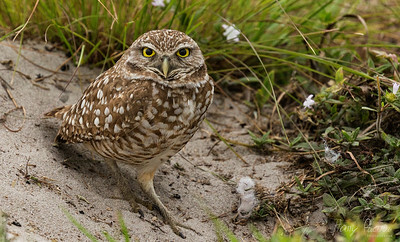 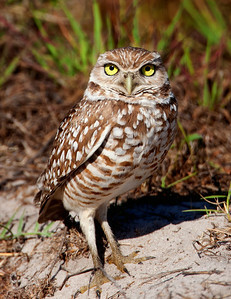 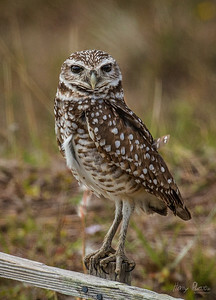 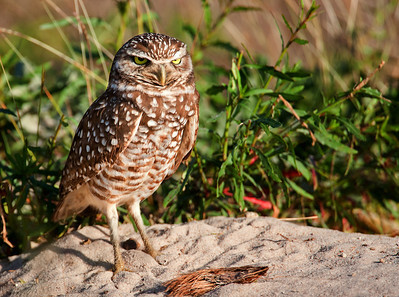 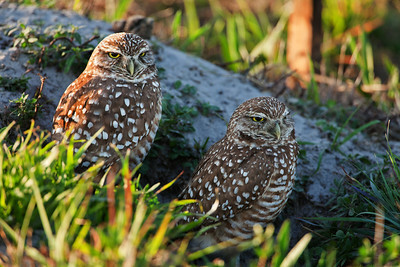 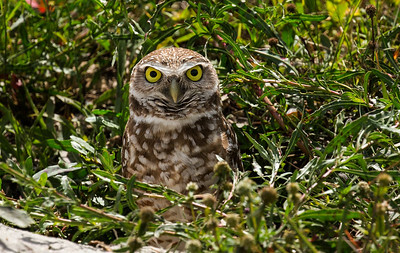 Burrowing Owls are small, sandy colored owls with bright-yellow eyes. 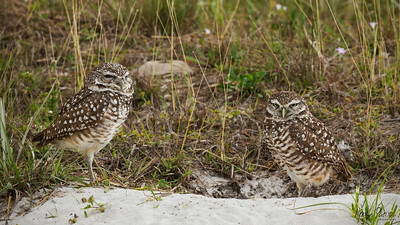 They live underground in burrows they've dug themselves or taken over from a prairie dog, ground squirrel, or tortoise. 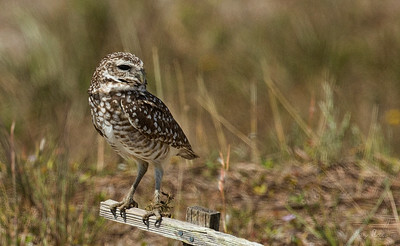 They live in grasslands, deserts, and other open habitats, where they hunt mainly insects and rodents.